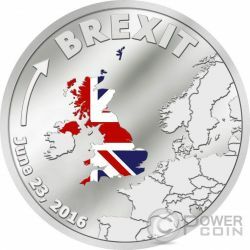 This new Silver coin presents one of the most significant moments in EU history - United Kingdom Out of the European Union. In a historic vote on June 23rd, 2016, the United Kingdom chose to leave the European Union. This smartminting coin is colored, has a Proof quality and 3 grams weight. Limited mintage to 2016 pcs worldwide. 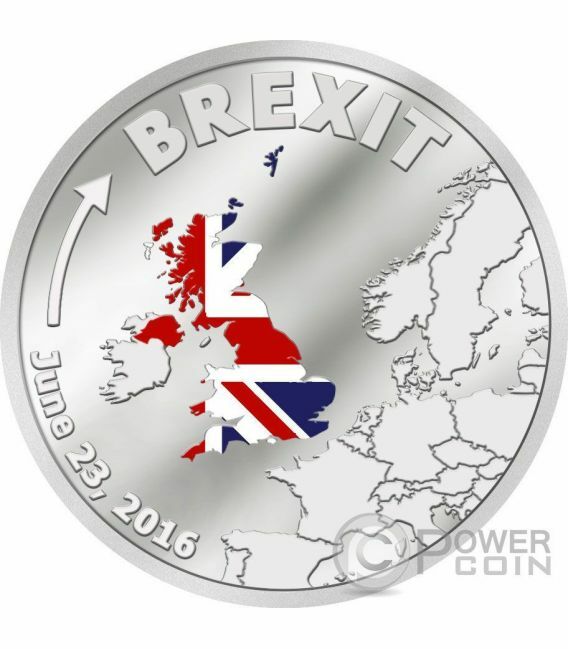 The reverse of this new Silver coin depicts the United Kingdom map, with two colors, red and blue of the national flag. This image marks one of the most significant moments in EU history – the United Lingdom out of European Union. All around of the reverse, the inscriptions: “23 June, 2016” – the day of the referendum. 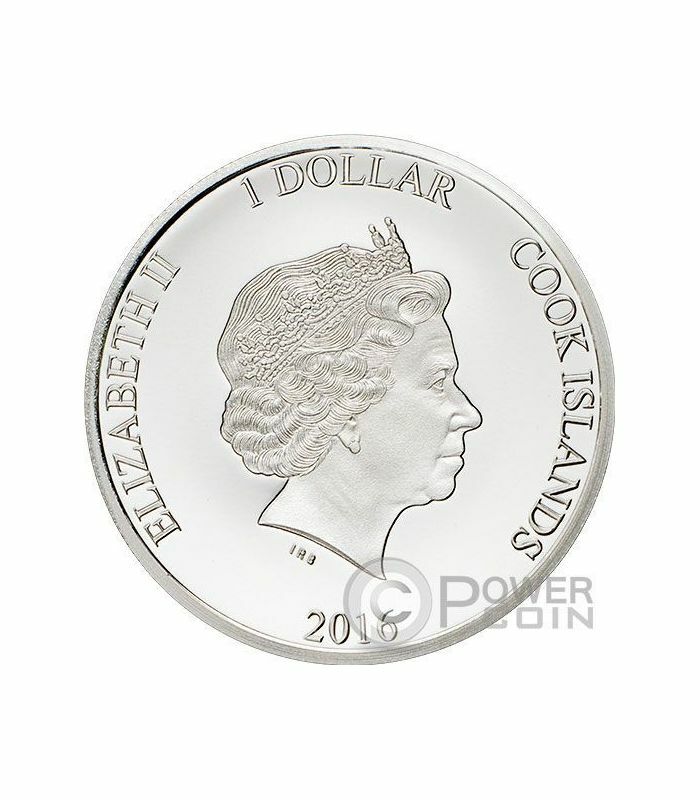 The obverse of the coin depicts the effigy of Her Majesty Queen Elizabeth II. 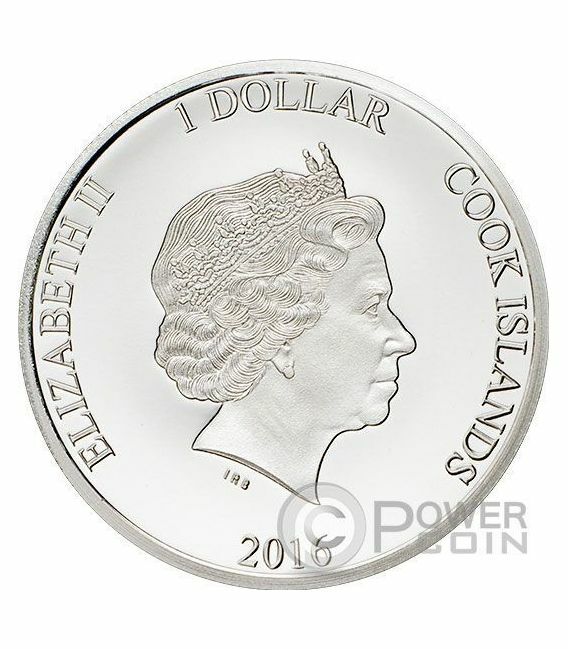 All around, the inscriptions: “ELIZABETH II”, “Cook Islands” - the issue country, “1 Dollar” - the face value and “2016” – the year of issue.